Last week I received an email from a client who is going through a career transition. As I write these words I realize how sterile they are, because in truth she is going through a metamorphosis. She is changing her identity, her very concept of who she is and what she’s here to do. That’s a really, really big change. It’s a change that has generated its fair share of confusion and concern in her life, yet as I read this particular message I found myself relaxing. I spontaneously smiled and actually felt as if I was being lifted and lightened. I read it twice so I could relish the delight it evoked in me. I felt delight because in the past, this woman (whom I’ll call Kay), had always planned her career moves and job changes. She figured out what kind of work she wanted based on her skills and experiences and then pursued appropriate promotions and jobs in strategically logical ways. And while she was highly successful in her work, and received both tangible and intangible rewards for her contributions, she longed for work that fed her soul. Or perhaps better said, she longed for work led by her soul…by her heart…by her Love. As I’ve said countless times over the years, in order to create work or lives we love, we have to let Love lead. And that means there isn’t a plan we can follow to accomplish it, because planning is a mental activity. Fulfillment arises from the heart, not the head. Planning requires a specific target, an assumed end point toward which we’re aiming. But if we already know the ending, that means we’re operating in our known world – the very world that, currently, isn’t fulfilling. In order to experience fulfillment, we have to become willing to be in the unknown for a little while. Most people are terribly uncomfortable in the unknown, and Kay was no different at first. But her commitment to creating work she loves was firm, abiding and stronger than her fear of not having a plan. And so step by step, she learned to follow the lead of her heart. Heart wisdom is very different from cognitive intelligence. It arises from our innermost Being, the eternal essence of who we are that exists outside of space and time. Heart wisdom understands our wholeness, our brilliance and our connectedness with each other and the cosmos. Heart wisdom is our bridge from the Universal womb – the quantum field of infinite possibilities – to the manifestation of experiences that joyfully express our uniqueness. And heart wisdom knows that creation occurs in cycles and waves, not in straight lines, which is why matters of the heart can’t be planned. Rather than a singular end point, there are waves and cycles of experiences that expand us and enrich us and enliven us. Of course, as we become clearer about the specific forms of self-expression our hearts are revealing to us, we can call upon our superior planning skills to help the process along. For example, once I became clear that, in my heart, I wanted to be a writer, I had to learn to fit writing into my life and into other people’s schedules. Planning my own schedule to meet writing deadlines is part of honoring the wisdom of my heart. The key is, planning is meant to support heart wisdom, not supplant it. So the problem with planning is not planning itself, but the misguided way many of us have been taught to apply it. Like so many others, Kay had been taught to plan her life, or at least her work life. Planning gave her a sense of direction and security. Yet that kind of direction and security are often, at the core, defenses against fear. When we’re disconnected from the heart wisdom that understands the truth of our magnificence and the truth of this endlessly abundant, interconnected Universe, we feel vulnerable. We feel small and isolated. And when we feel like that, the unknown seems like a vast space of potential threats rather than the loving womb of all creation. And so we make plans. We identify what we’ll do, based on what we know, and stick to the plan so we don’t drift into the dark night of the unknown. Kay ventured into that dark night. She let go of her strategies and plans and, instead, intended for deep self-connection. She made time for reflection, meditation and being in nature. She explored different things. She gave herself permission not only to acknowledge what she’d longed for in her heart for decades, but to honor it now rather than to continue holding it off for the future. She learned that the heart’s guidance comes in sparks of insight, ideas and impulses that show her only the next step to take rather than a five-year plan, because the steps themselves are not predetermined. They arise from the energy of the creative process itself, which is alive and organic and iterative. But it’s not random. There is an intelligence in the heart’s orchestration of circumstances, details and opportunities that defies linear logic. If you’ve ever looked back at your life and recognized the immense beauty and complexity of the seemingly chance events that ended up being significant to who you’ve become, you know what I mean. Being peacefully in the unknown is about being willing to trust, right now, in that vast and loving intelligence which is orchestrating things on our behalf. And it’s also about being willing to participate with that loving intelligence rather than blind ourselves to it with our plans. That means becoming finely attuned to our intuition and our energy, choosing to be guided by what lights us up and what fills us up rather than by strategies and formulas. That’s what Kay has been doing – that, as well as actively cultivating trust in this approach. In her email she told me that, as she begins a new phase of her transition, which is equivalent to an internship in a field completely unrelated to the field she left, she is genuinely excited and has been showing up early for her job, which was not the kind of experience she used to have with work. She also shared with me a news story directly related to the field she’s in now, which reported on something enormously significant and unexpected that will create unprecedented opportunities in the field. Really, it’s huge and had anyone predicted it would happen, their prediction would have seemed improbable almost to the point of being ridiculous. As I read the article I could almost see the invisible hand of the Divine behind the scenes, revealing this incredible potential to Kay as a reflection of her own abundant potential to thrive in the work that lights her up. And what was equally satisfying and delightful to me was Kay’s appreciation for where she is right now. She’s not waiting for some predetermined end point before she deems herself a success and allows herself to celebrate. She’s celebrating the journey she’s on, with all of its twists and turns, and reveling in the expression of aspects of herself she’d previously kept under wraps. She’s on her path, living both from and into the fulfillment of her heart’s desires. She’s emerging from the unknown moment by moment and step by step, gaining clarity and confidence as she goes. She’s beginning a new wave of expansion that’s creating momentum in the direction she wants to go. I’m tickled that she didn’t follow her old plan and just get a new job. Instead, she’s getting a new life, and she’s bringing new life to the world. That’s what becomes possible when we let Love lead. What do you think? Please feel free to add your insightful comments and questions below. I love to hear from you!  Suzanne, thank goodness you committed to becoming a writer because I do depend on you to put to words some of the ephemeral thoughts and feelings along this spiritual path. In today’s post about planning you said ” the unknown seems like a vast space of potential threats rather than the loving womb of all creation.” Since I’ve made a recent commitment to myself to spend more time in the unknown through meditation, I need to tell you how comforting it is to think of it as a loving womb of all creation instead of a place where anything can come at you from nowhere and you can’t control it. Which i do sometime feel. You help me trust. And thank you for sharing Kay’s journey. I feel if she can do it, so can I. Kudos to you Kay. Trust is really the foundation of all happiness, isn’t it? I love that my writing helps you trust…and kudos to YOU, too. Kay would very much relate to your experience. We are not alone on this journey! Thank you for gracing this post with your energy and appreciation.